Panini America is a new name on the hobby scene, having just come into existence during the tail end of the first decade of the 21st Century. But even if collectors aren't familiar with its parent company, which is best known as a producer of sports stickers and soccer cards in Europe, it's a safe bet that anyone who's collected sports cards for any length of time has heard of some of the names this manufacturer has absorbed along the way. The Panini America story really starts with Donruss, a company that was founded in the 1950s but truly rose to prominence three decades later. Taking advantage of a court decision that ended Topps' monopoly on the baseball card market, Donruss began making baseball sets of its own in 1981, and struck gold in 1984 with its famous Don Mattingly rookie card. While it continued to print baseball cards through the 1990s under various Donruss and Leaf brands, the company merged with Pinnacle, the creator of Score sports cards, and eventually tried its hand at both hockey and football cards. Pinnacle filed for Chapter 11 bankruptcy in 1998, but the company's assets were acquired by Playoff, a football card manufacturer. The combined company was known as Donruss Playoff, though hobbyists commonly continued to refer to it simply as Donruss. In 2005, Major League Baseball declined to renew Donruss Playoff's license, leaving it primarily in the business of football cards (though it continued to dabble in some other sports without full licenses). When Italian company Panini became the lone basketball card partner of the NBA, it went looking for an American firm to aid in its production and distribution efforts. It fulfilled that goal by buying out Donruss Playoff - inheriting its NFL license in the process - and renaming the new venture Panini America. Today, Panini America creates basketball and football cards from its home base in Arlington, Texas. Though it has promised to being new ideas to the hobby, it's also expected to continue Donruss' knack for celebrating the past, present and future of sports in many of its brands. The company also scored a major coup in late September 2009 by signing NBA superstar Kobe Bryant to an exclusive trading card contract. 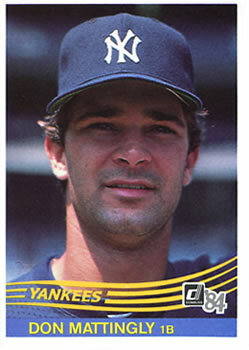 Bryant, formerly a spokesperson for Upper Deck, will sign autographs only for Panini America well into the 2010s. 2018-19 PANINI COURT KINGS HOBBY BASKETBALL BOX 2 AUTOS PER FACT SEALED DONCIC?